For beauty, precision and strength, nothing has ever matched the combination of form and function found in the armour of the samurai. For a samurai, the consummate warrior, his suit of armour was so much more than 'just' protective equipment that could save his life in the heat of battle – it was the embodiment of his personality, social status and very soul. 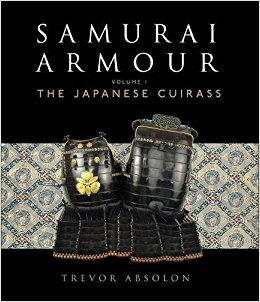 This volume, the first in a two-part series on the armour of the samurai, traces first the history of the samurai themselves and then examines the history and evolution of the cuirass or dou, the armour protecting the samurai's chest. Drawing on over 20 years of research and technical work by Trevor Absolon, a leading expert, this is a complete study of this fundamental aspect of samurai armour construction. Illustrated throughout with photographs and diagrams, this is more than just a detailed technical exploration, it is a meditation on a process that was, and still is, nothing short of an art form.